We are engaged in offering a superior quality Maize to our clients based all over the globe. 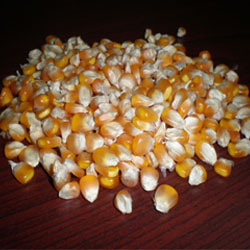 We source the maize, natural maize or yellow corn from reputed farmers and processed and packaged using latest technology. Our immaculate processing technology ensures that the nutritional content and all the natural protein is retained. We always make sure that we have a ready bulk quantity of maize in safe storage to cater to the urgent requirements of the clients across various countries.